The Jersey Coast Anglers Association is a charitable non-profit 501(c)3 organization that was formed in 1981. The original objective of the JCAA, that continues today, was to combine a group of marine sportfishing clubs in order to form and promote a united consensus on issues relevant to saltwater anglers in New Jersey. JCAA works to protect the rights of New Jersey's recreational fishermen by seeking fair and equitable fisheries management. It fosters conservation and education while seeking to do what is best for our fisheries to ensure they will be sustainable for future generations. JCAA also strives to create increased angling opportunities and better public access. Further, it is involved with issues concerning our marine environment, such as fighting for better fisheries habitat, keeping our waters clean, and protecting our forage species while supporting an ecosystem-based management approach. JCAA works in concert with New Jersey's legislature, many major local, state and national organizations, congress and federal agencies to advance its objectives. JCAA has evolved into one of the most powerful and unified organizations of its kind. JCAA's strength comes from its volunteer members, sponsors, and donations. If you, or your fishing club are interested in becoming a member or making a tax deductible donation, please call (732) 506-6565 or visit jcaa.org. The Jersey Coast Anglers Association (JCAA) is an association of more than 75 saltwater fishing clubs that represents the position of marine sport anglers, champions their causes and protects their rights in matters pertaining to fishing, fisheries, and environmental quality. In doing so, JCAA often works in concert with major environmental organizations and other influential associations of sports clubs. The Jersey Coast Anglers Association is a non-profit organization formed in 1981. The original objective of the Association was to combine a loose fragmented group of marine sportfishing clubs in order to form and promote a united consensus on issues relevant to saltwater anglers in New Jersey. The mission of the Association has remained unchanged, but is now expanding with the goal of joining force with organizations having similar objectives in states along the East Coast. JCAA has emerged as the most effective organization of its kind on the East Coast. The organizational structure includes an executive board, working committees, and delegates representing member clubs. The Association operates using a 'bottom up' approach. The direction, policies, and positions of the Association are determined by member club delegate’s votes. The board members and committees then carry out the directives determined by the member clubs. The underpinning principles that guide the Association are the health of the fishery and the environment first, along with a balanced approach to participation in the fishery by all user groups. The limited financial resources available to the association are directed to getting results, not funding bloated salaries. The Association originally operated from borrowed or public meeting places. In recent years the Association secured office space in Toms River New Jersey to establish a central point of operations and house the growing inventory of fisheries documentation and business equipment. Until early 1996 the Association had operated with all volunteer personnel. The expansion of activities in 1995 indicated the need for assistance in maintaining the continuous support services and infrastructure vital to allow the Association to pursue its goals. In early 1996 the Association hired part time office clerical help to address these needs. One of the most important accomplishments of the Association has been to establish itself as a respected advisory voice in Trenton and Washington. In this capacity the Association can provide effective and evenhanded fisheries management policies and proposals on behalf of recreational anglers. These activities include appointments to the Atlantic States Marine Fisheries Commission, Mid-Atlantic Fisheries Management Council, NJ Fisheries Information Development Council and the New Jersey Marine Fisheries Council. We have members on various state and federal advisory boards and panels. These include the Governor’s Task Force to reduce Mercury in the Environment and all three of the state’s EPA Estuary Programs. These positions involve development and advising in the development of fisheries management plans for and environmental protection at the state and federal jurisdictions. Another major accomplishment of the Association has been to form partnerships with other leading organizations whose missions are in line with, or overlap, the objectives of the Association. These partnerships are critical in establishing a united voice on the broad issues affecting marine sportfishing. The Association is a member of Clean Water Network, New Jersey State Federation of Sportsmen Clubs, and the American Sportfishing Association, and the New Jersey Outdoor Alliance amongst others. Apart from the continuous involvement in fisheries management issues, the Association is also involved with projects that target a specific purpose. Achieving gamefish status for Striped Bass in New Jersey is an example of this type of program. The Striped Bass Gamefish Bill was signed by then Governor Jim Florio at a JCAA meeting in tribute to the efforts of the Association in passage of this legislation. The issue of gamefish status continues to be pursued at the federal level. The Association also pressed for legislation to control the overharvest of menhaden, which is a critically important forage fish in near shore waters. A healthy fisheries environment is critical to all species. The Association is well recognized in the fight for a clean marine environment that benefits the general public as well as the fishing public. The Association is strongly opposed to ocean dumping of industrial and municipal wastes. This position was forwarded in conjunction with leading environmental organizations. As a result of these efforts the Association was a co signature of the Clean Water Act of 1992. The Association also remains opposed to the Army Corps of Engineers plan to dump toxic sediments at inshore sites where they can damage the ecosystem. The Associations Youth Education Committee is widely recognized for its commitment to tomorrow's anglers. The programs promoted by this committee serve to nurture interest in fishing and provide the additional benefit of solidifying the family in the sport of fishing by introducing young people to fishing as an alternative to gangs, drugs, and violence. The Youth committee has developed a number of programs designed for different learning environments. 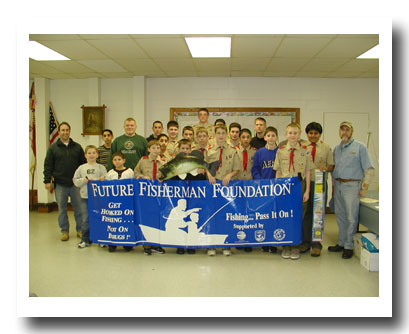 A public school program based on 'Pathways to Fishing' and 'Hooked on Fishing, Not on Drugs' themes was designed to teach the teacher, thereby providing a self-renewing program. A special program for Charles Brisbane Child Rehabilitation Center for kids trying to recover from the ravages of substance abuse. 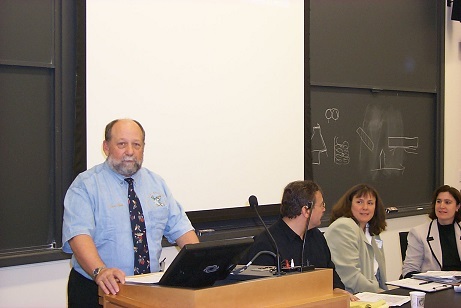 Committee members have assisted Rutgers University in developing a fishing curriculum to teach basic fishing techniques and respect of the marine environment. These materials are made available to schools and civic organizations to teach kids the wholesome outdoor sport of fishing. The Association is proud to be a cosponsor of the Annual New Jersey Governor's Cup Fishing Tournament. This event provides a day of family oriented fishing fun combined with the youth educational seminars mentioned above. Monies generated go toward funding projects to improve access and enhance fishing opportunities for the general public. An example of the benefits from this program is the Handicapped access project at Island Beach State Park. The initial phase of this project provided special wheelchairs that allow handicapped individuals with the ability to navigate the sand so they too can enjoy a day at the beach. The second phase included extended access ramps from parking areas to the waters edge, further expanding access for the handicapped.